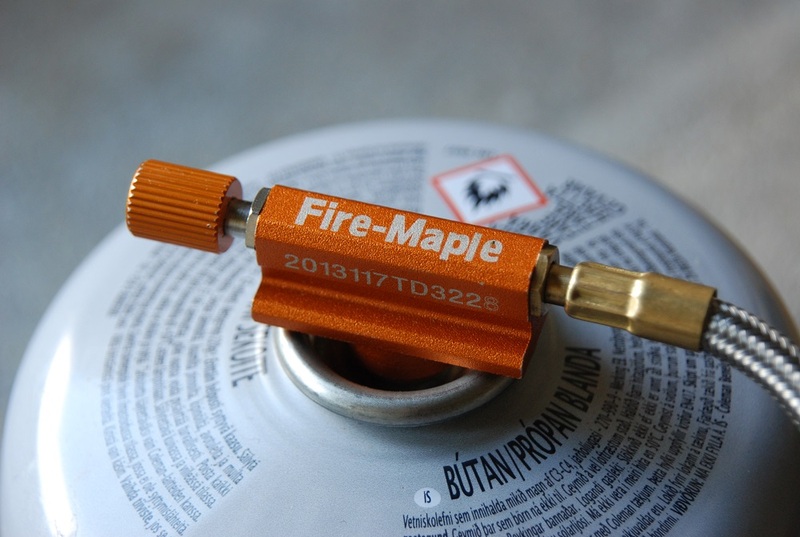 The Fire Maple 117T remote canister stove has been my main stove for the past couple of years and overall I’ve been extremely pleased with it’s performance. Recently however part of the remote valve has become detached rendering the whole stove unusable. In the absence of spare parts it may now be destined for the bin. It has one downside if you want a stove for 4 season use; the lack of a preheater tube. It also doesn’t control particularly well with a canister inverted. I’ve probably used the stove for around 40 overnight camps over the last couple of years (including two TGO Challenge crossings) without a hitch. But recently the screw thread which attaches the control valve to the canister has become detached and to date I’ve not found a way of mending it. Had this happened on the TGO Challenge I’d have been left without a stove. 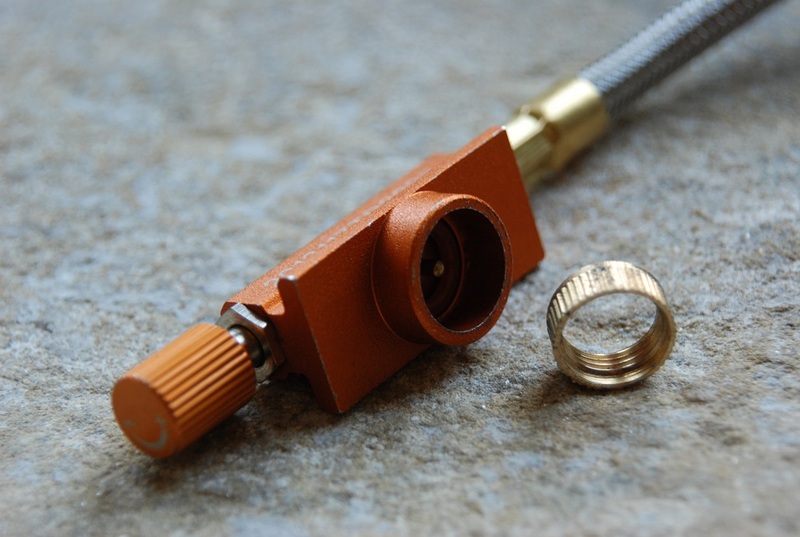 The control valve attaches to a canister via thread brass ring inset into the valve housing, and this brass ring doesn’t appear to be fixed in place by anything more than it being a tight fit into the titanium housing. I rather over-enthusiastically tightened the valve onto a canister last week, and the brass threaded ring popped out of it’s housing. No amount of pre-heating, hammering or soldering has resulted in me getting this ring to stay in place since, with the result that the stove will no longer attach to a canister. In effect, it’s knackered for the sake of a small part. I’ve searched the internet for spares, but lets face it much of the kit from China has a warranty which makes it as good as disposable, and the chances of getting a replacement valve are pretty remote (no pun intended). Shame, it’s been a great stove. But looking at the design it was probably a failure which was destined to happen. A classic design fault. It would have been far better if the screw thread had been bored out of the valve housing itself rather than a separate piece which can come loose. Ideas on a postcard ! Poor stove I found https://www.youtube.com/watch?v=OA83Ca1Uxnk so get a Kovea Spider. I did. It’s worked well for me, and quite a bit lighter than the alternatives which all seem to be around 180-250g. But it’s certainly not the best valve I’ve seen. And granted, the Fire Maple is not designed to work with a canister inverted, tends to flare a bit so not ideal for winter use..
I’ll add the Kovea to my list Martin. Also looking at the Optimus Vega. I guess loc tite or similar will only repair it temporary? Not tried that Jon, but worth a try. Screwing a canister on seems to exert quite a force on the tread ring…pops it out too easily. Try araldite for metal or possibly a good quality threadlock. Like loctite 276 or 278. Cheers Alan. Will try araldite, will need to have a high sheer strength. The Karrimor version I have does come with a brass pre-heater and electronic ignition. 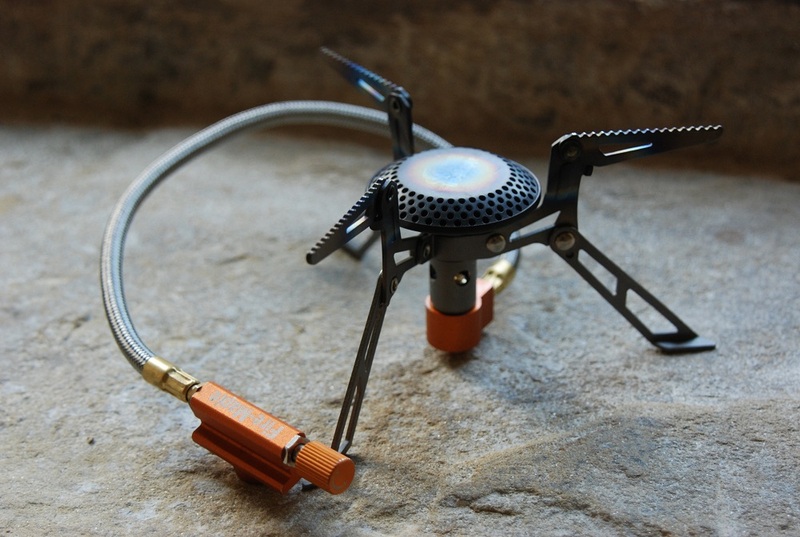 I unscrewed and dumped the igniter and it’s proved a brilliant little four-season stove. However, I will now be very careful when tightening the valve to the canister. Thanks for the heads up. Surely an epoxy glue of some kind would work to replace the ring into the housing? Here’s hoping so. I’ll just be left with a niggling doubt whether it will fail again mid backpack. I’ve had a closer look and the whole valve itself could be easily replaced if I can find a cheap version of a similar stove to buy and use as spare parts. 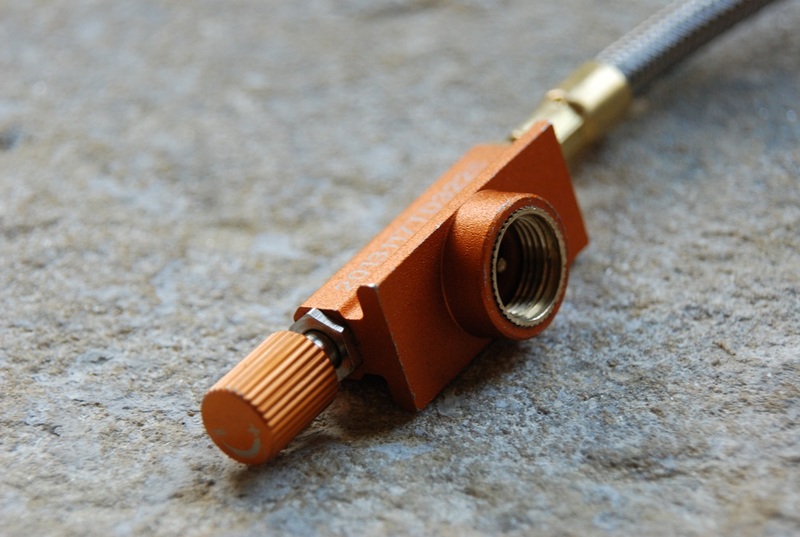 Preferably one where the thread on the valve is not a separate piece. My Karrimor was £17. Worth a Google if only for spares.